Yerba Buena Lofts TERRACE Coming Soon! 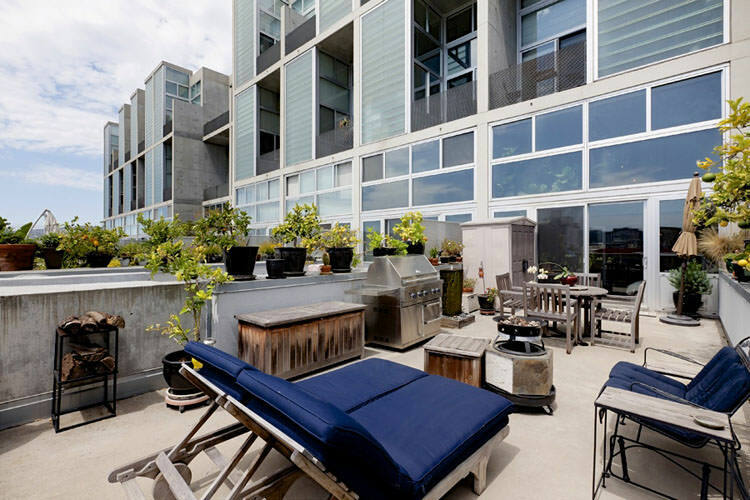 Stunning full size 2 bed / 2 full bath Yerba Buena Loft with a huge 30×15 ft private terrace offering panoramic open views, high-end upgrades, soaring ceilings, amenities and a great location! Upgrades include wide plank hardwood floors, roller shades, designer track lighting throughout, den sliding glass doors, carpet and window coverings. Kitchen fitted with stainless appliances, granite counters, walk-in custom California Closets, ceiling fan, and W/D. Deeded parking. On-site professional management. 24-hour security which oversees concierge key service, package delivery, dry cleaning, cabs, etc. Full-time maintenance staff and chief engineers. Walk Score of 97! Folsom @ 4th Street across from restaurants ZeroZero, Oola, Jamber and Le Charm. One block from Whole Foods & Yerba Buena Gardens. Nearby Moscone Center, Target and Westfield Mall. Walking distance from Union Square, Financial District, South Beach, Mission Bay & AT&T Park. connector station coming soon @ 4th Street!